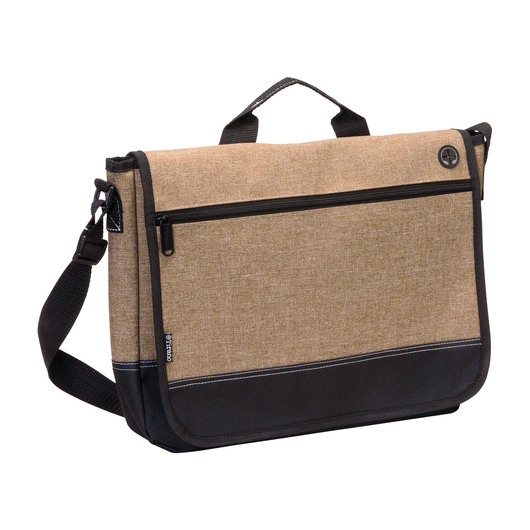 Carrying your stuff while on-the-go couldn't be easier with this quality laptop satchel bag! Stop stuffing everything in your pockets and get this bag. This laptop satchel bag is perfect for carrying your wallet, keys, small tablet, laptop, pens and other belongings. Great for commuters or travellers. 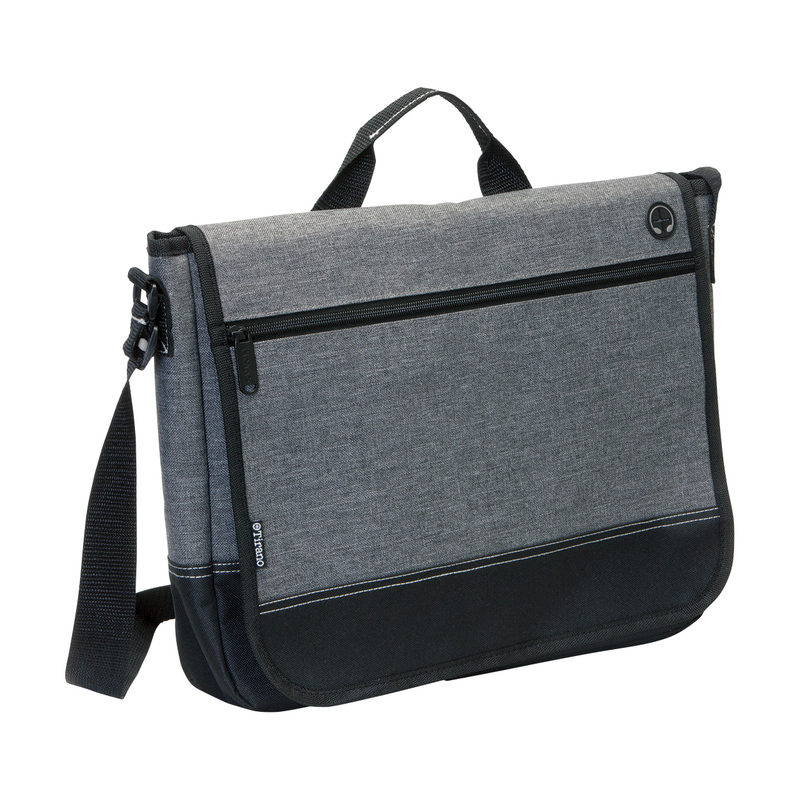 It can hold a 15" laptop and has a carrying capacity of 8.5 litres. 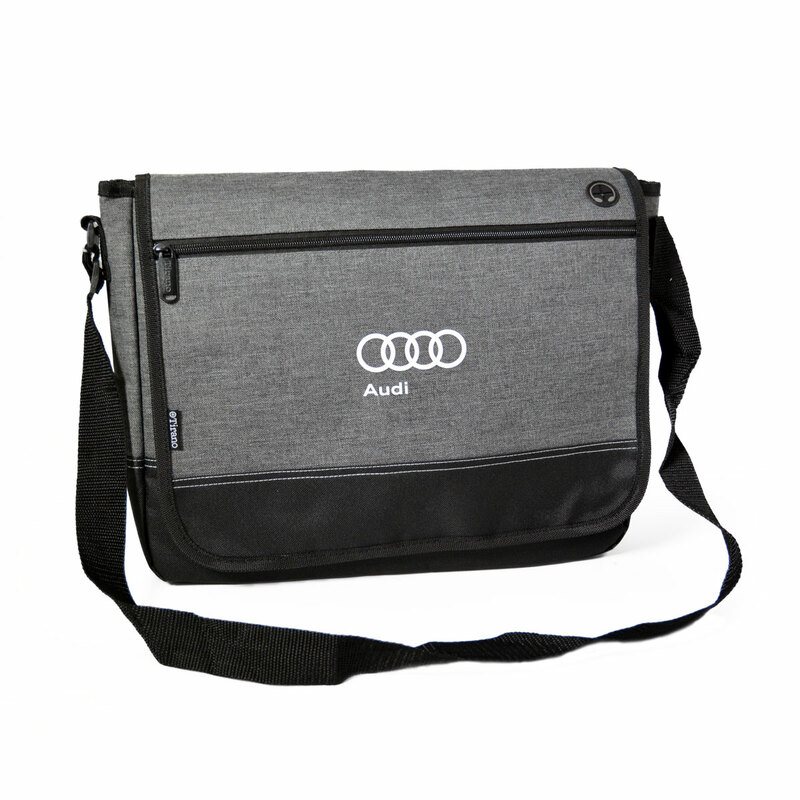 Made from 600D poly-canvas with PVC backing for durability. It has a front flap fastened with Velcro, solid branded zip pulls, zippered pocket on front flap, business card holder on back, slip pocket for documents under front flap, holds up to a 15" laptop, outlet for headphones, webbing haul loop, and adjustable shoulder strap. Perfect for most notebooks or tablets. Ideal for any professional or student.